The banking institution is projected to begin services by August 2019 by offering full services 2-3 days a week. 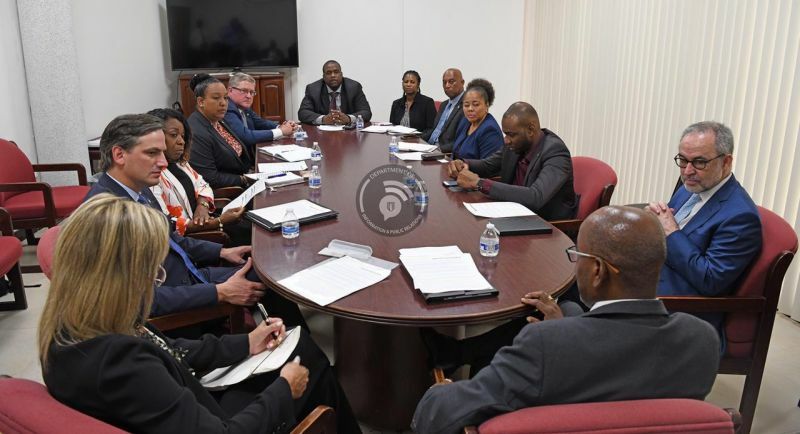 Premier Fahie was accompanied by Minister for Natural Resources and Labour and Representative for the Ninth Electoral District, Honourable Vincent O. Wheatley and Junior Minister for Tourism and Territorial At-Large Representative, Honourable Shereen D. Flax-Charles during the meetings. Following the closure of the Scotia Bank branch on Virgin Gorda in September last year, discussions had been ongoing with several institutions to provide an alternate banking solution for the residents and visitors on the sister island. Banco Popular is a financial services provider with operations in Puerto Rico, the United States, the Caribbean, and Latin America.